Incasa Properties is a company recently created by Nicole Koning. Of Dutch origin, she came to Mallorca in 1996. Since then she has lived in Cala d'Or, an area which she now knows like the back of her hand. She speaks 5 languages, is married to a Spaniard, proud mother of 2 children who were both born on the island. 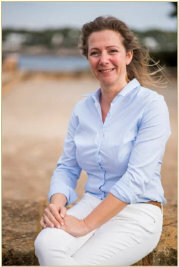 In 2003 she started her career working in Cala d'Or for one of the most prestigious and well-known real estate companies in the Balearic Islands. It was there that she acquired her knowledge. Later, in 2008 she began a new adventure with a new real estate agency in the area, which she was in charge of for the last 5 years. Today of which is a reference in the town. With so much knowledge and experience required during all these years, Nicole now offers you an individual and professional service with all the guarantee before, during and after the purchase or sale, rental and maintenance of real estate. Follow your dreams we’ll show you the way.